School District No. 53 (Okanagan Similkameen), serves approximately 2,400 students. Our district is located in the sunny Okanagan and Similkameen valleys of British Columbia and serves students in the communities of Okanagan Falls, Oliver, Osoyoos, Keremeos, Cawston and Hedley. View more information on Osoyoos Education below. Residents experience a small town environment, picturesque rural community, an active arts community, multiple recreation centres, and plenty of local participation. Our landscape and climate enhance opportunities for outdoor activities and sports for students. Osoyoos is truly a four-season playground, allowing ample opportunity for outdoor recreation. Read more on the Osoyoos lifestyle here. In addition to conventional school programs the district also provides K-12 distributed and adult education at YouLearn.ca, hockey academy at Osoyoos Elementary and Osoyoos Secondary Schools, and the Golf Academy at the Osoyoos Secondary school. Looking for career opportunities in an Educational environment? View all job openings and current teacher postings in School District 53 by clicking here. Osoyoos Elementary (K-7) provides a strong blend of academic, athletic and cultural programming to enhance the learning of all its students. The school offers student internet access through the library resource room and computer laboratory. Highlights include a community winter recreation program, environmental studies programming and Effective Behavior Support. 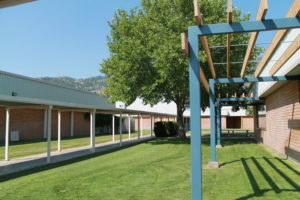 OSS is a rural Gr.8-12 school with a three building campus overlooking Osoyoos Lake. The staff takes pride in being able to offer the students quality academics while remaining a close-knit school community. The school also offers a wide range of elective options including automotive, woodwork and metal shop. Over half of the students are involved in athletics and all of the students have the opportunity to be involved in ne arts including drama and band as well as leadership, student parliament, global awareness and yearbook. The OSS Rattlers are the pride of the community. Osoyoos Secondary has a dedicated team of 17 teaching staff, 2 administrators, 1 clerical support staff, 5 education assistants, 2 custodians, 2 counselors and a partnership with parent and community members to provide a quality, well rounded education to the (approx) 315 students. Osoyoos Secondary School has a high graduation rate, many with honours. The Osoyoos Child Care Centre functions as a nursery school for preschoolers and a daycare centre. Located on 89th Street beside the Elementary School, the OCCC offers 3 programs to meet the needs of childcare and early education in the community. 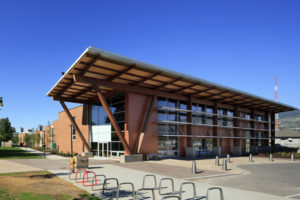 Okanagan College-Penticton Campus and the education centres in Summerland and Oliver have established a leading reputation for providing quality education and training for the wine and hospitality industries. Unique to this region are their Signature Programs, which include: Winery Assistant Certificate, Viticulture Certificate, Wine Sales Certificate, and Career Facilitator. If oenology (wine making) and viticulture (grape growing) are to your taste you can begin your studies here and transfer to Brock University to obtain a degree, or take any of the three certicate programs as well as a number of specialized courses that serve the needs of the vineyard, winery and hospitality related businesses. Other certificate programs offered include: Interior Decorating, Introduction to Dental Office Reception, Landscape Horticulture, Management Skills for Supervisors, Home Support/Residential Care Aide, Adult Academic and Career Preparation, Adult Special Education, Applied Business Technology, Bartending, Basic Accounting, Computer Basics for Business, Custodial Worker, Education Assistant, Floral Design, Medical Ofce Assistant, Nursing Unit Clerk, Palliative Care, Practical Nursing, Accounting and Teaching English as Second Language. The trades include Electrical, Plumbing, Refrigeration & Air Conditioning, Residential Construction & Welding. For a complete list of programs & courses along with support services, please check their website. The Oliver Campus is located 19 km north of Osoyoos. Okanagan Similkameen Learning Centre offers a full range of high school courses including numerous certicate programs in computers using the latest technology and software. 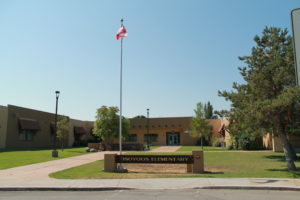 Learning centres are located throughout the South Okanagan within School District 53. Copyright © 2019 Town of Osoyoos. All rights reserved.